Priceline would not be able to acquire a company like OpenTable had it not been one of the biggest winners in the stock market over the last decade. NEW YORK (TheStreet) -- Priceline (PCLN has been a prime example of one of my "best stocks now" for years. Priceline possesses that rare combination of momentum and value and positive sentiment. When I featured Priceline in my book back in 2011, Priceline shares were at $458 per share. On Monday shares closed at $1,202.48, up nearly 4% for the year to date. Priceline is the parent company of booking.com and kayak.com, among others. It added to that stable by making an offer to acquire OpenTable (OPEN for $2.6 billion in an all-cash transaction. OpenTable is an online restaurant reservation service and everyone is talking about the potential synergies between the two companies, combining their travel and dining platforms. But Priceline would not be able to acquire a company like OpenTable had it not been one of the biggest winners in the stock market over the last decade. The company now has a market cap of more than $64 billion. 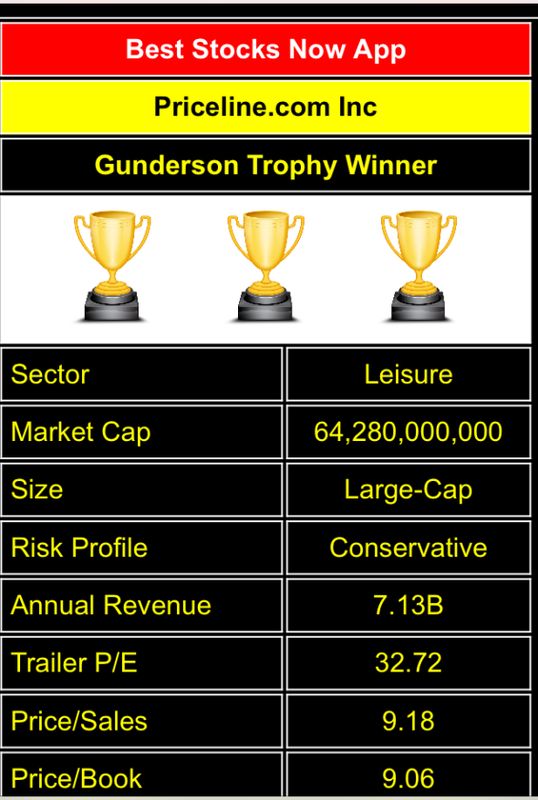 I do not currently own the stock at present but that doesn't take away from its impressive run of performance over the years. Priceline is in an elite group as one of my Best Stocks Now App trophy winners. Over the last 10 years it has averaged 46% per year vs. 5.5% for the market. 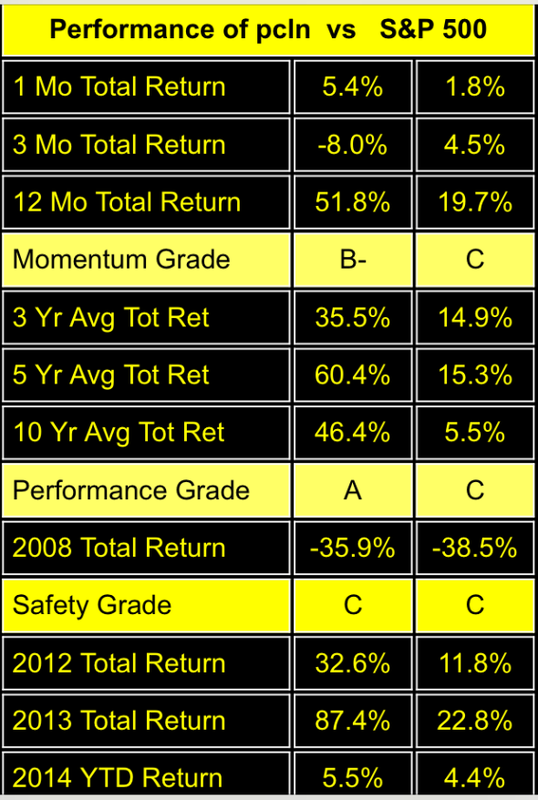 Over the last five years, while the market has returned 15.3%, PCLN returned 60.4% per year. The returns have been nothing short of phenomenal. 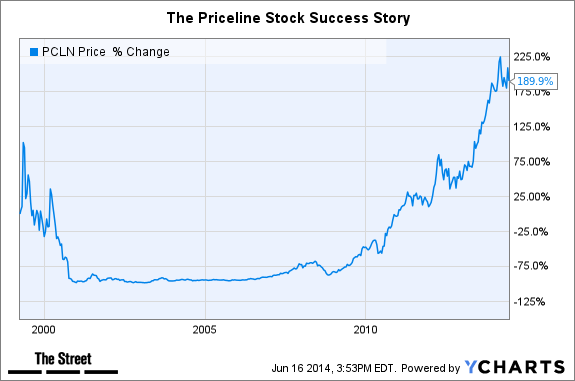 On a three-year basis Priceline gained 35.5% per year while the market was up 14.9%. Back in 2011 it was the perfect example of what to look for in a stock. The Best Stocks Now app is looking for some of the strongest performers in the market. But as an investor, you do not want to pay too much for those performers. 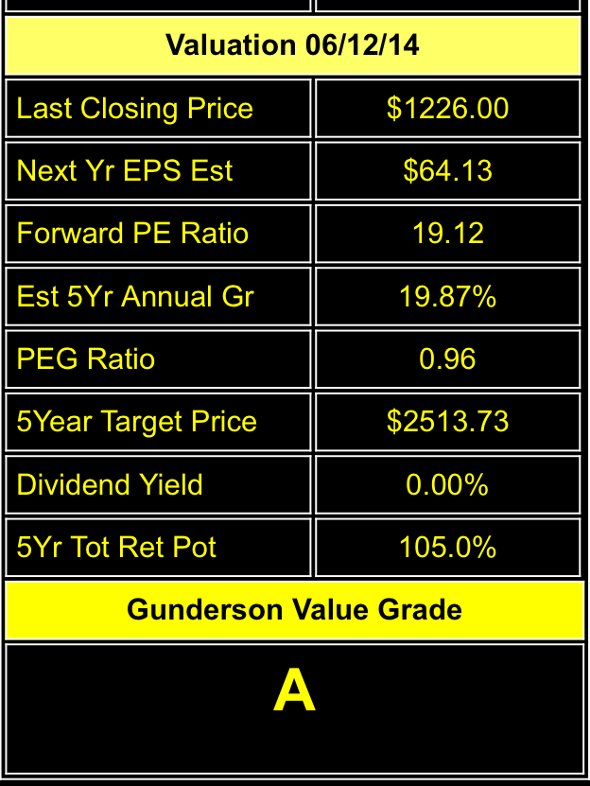 The stock still needs to make sense from a valuation standpoint. The shares of Priceline are still fairly reasonably priced. The current PEG ratio is less than one at 0.96 and I have a current five-year target price of just over $2,500. Of course, people thought that I was crazy with a $1,000 target price on the shares back in 2011. We are also looking to find stocks that currently have good sentiment -- in other words, a healthy stock chart. In a diversified portfolio of 25 or so names, I am looking to find four or five Pricelines to significantly beat the market for my clients. 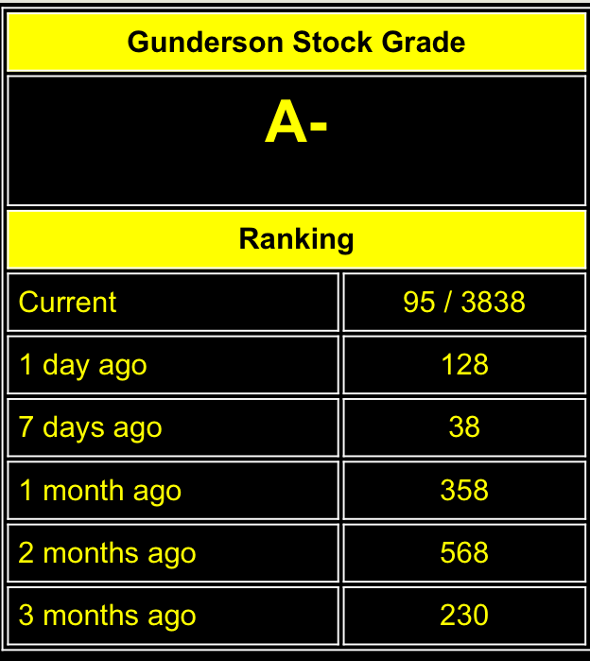 As I mentioned, I do not currently have a position in the stock, but it is moving up in my stock rankings, and is currently #95 out of more than 3,800+ names.